Philadelphia's 30th Street Station is one of Pennsylvania's busiest intermodal stations serving Amtrak, Southeastern Pennsylvania Transportation Authority (SEPTA), and New Jersey Transit. Combined, the three agencies saw more than 11 million passenger trips at the station in 2013. This number will rise in the coming years as demand for passenger rail continues to grow. Add to that, the increasing numbers of commercial and residential developments in the area by Drexel University, Brandywine Realty Trust, University of Pennsylvania and others and you have an area primed for transformation. With development plans springing up all over, Amtrak, Brandywine Realty Trust, Drexel and SEPTA joined forces to establish a joint $10 billion plan for the area. Recognizing that the involvement of specific stakeholders would lead to the production of a master plan capable of being implemented, the team reached out to adjacent property owners, governmental entities and departments, and nonprofit entities representing private and community interests. 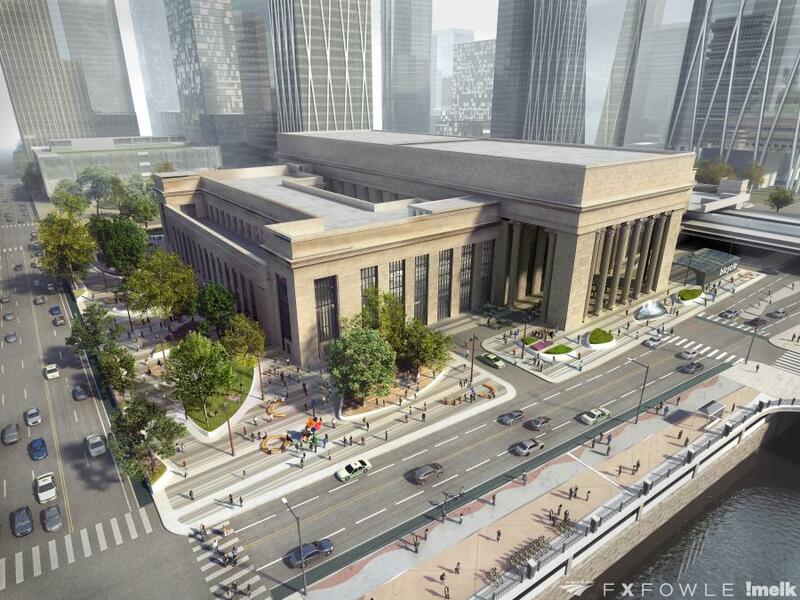 Thus, a collaborative master-planning process for the 30th Street Station District was born. “World class passenger rail requires significant investments in infrastructure, fleet, stations and facilities. As Amtrak moves to strengthen its core business, it is adopting new and innovative strategies to generate revenue for reinvestment into the Amtrak services and facilities that our customers have come to rely upon,” said Wick Moorman, Amtrak co-CEO. This process was guided by the project partners with input from the community at public meetings held throughout the two-year timeframe. Completed in 2016, the 30th Street Station District Plan is a comprehensive vision for the future of the area surrounding 30th Street Station in the year 2050 and beyond as the next great neighborhood anchored by one of the nation's busiest and most important transportation hubs. In line with many other live-work-play communities popping up across the United States, the 30th Street Station is focused on community, connectivity and identity. The District Plan lays out a vision for the next 35 years and beyond to accommodate a projected 20 to 25 million rail passenger trips per year; 18 million sq. ft. of new development including an entirely new mixed-use neighborhood atop 88 acres of rail yards; house between 8,000 and 10,000 new residents; support up to 40,000 new jobs; and create 40 acres of new open space for the city. Most projects are still in the planning/design phase. Parcel 1 is an Amtrak-owned property located at the corner of 30th Street and JFK Boulevard, directly west of 30th Street Station in Philadelphia, and a major development opportunity. Parcel 1 is situated in the popular University City section of West Philadelphia, a prominent site home to major medical and educational institutions such as Drexel University, University of Pennsylvania, the Hospital of the University of Pennsylvania, Children's Hospital of Philadelphia and the many science and technological companies located in the University City Science Center. The property includes a roughly 32,500 sq.-ft. tract of land and associated air rights. It is zoned to allow for a wide range of institutional, commercial, office and residential uses. 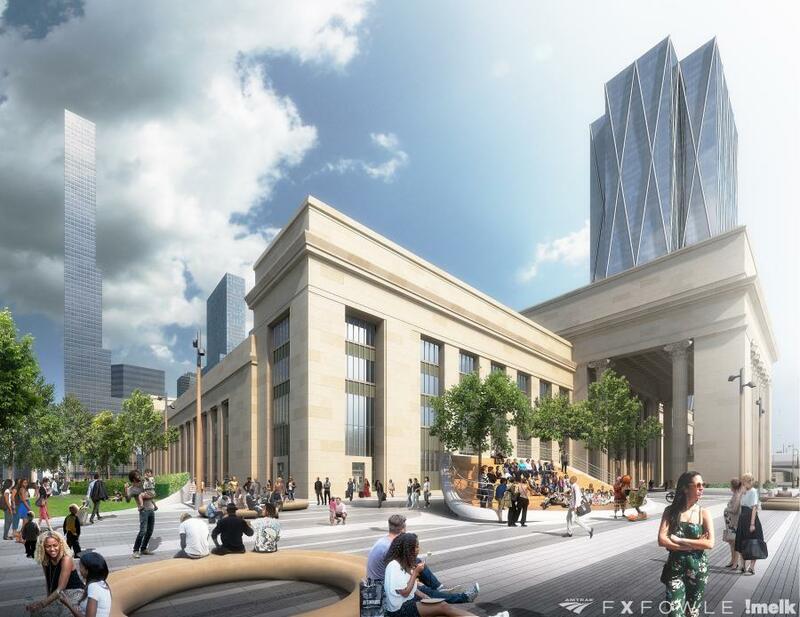 In a major step toward implementing the vision outlined in the 30th Street Station District Plan, Amtrak issued a Request for Proposals (RFP) in the fall of 2016 seeking a developer for Parcel 1. 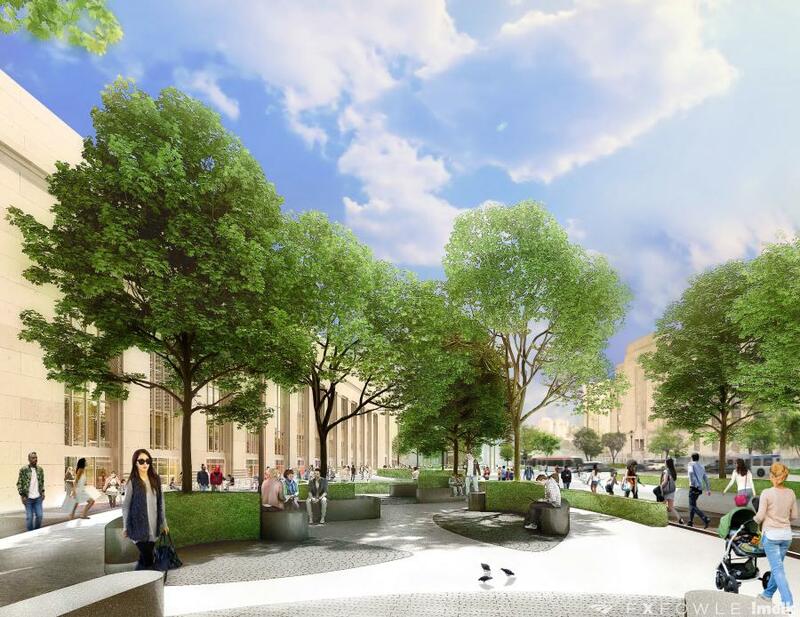 It is Amtrak's intention to find the appropriate partner to unlock the untapped value from Parcel 1 and activate the space, extending the vibrancy of 30th Street Station to create an attractive and exciting enhancement to the District. The request for quotation (RFQ) for the Philadelphia Master Developer Partnership was postponed in 2017, in light of the announcement by Amazon of its search for a second corporate headquarters and the city of Philadelphia's interest in submitting a proposal. “Amtrak is pleased with the recent news of Philadelphia being shortlisted by Amazon. With that said, we are currently evaluating our next move in respect to the release of the RFQ,” stated Bethany Toll, spokesperson for Amtrak. 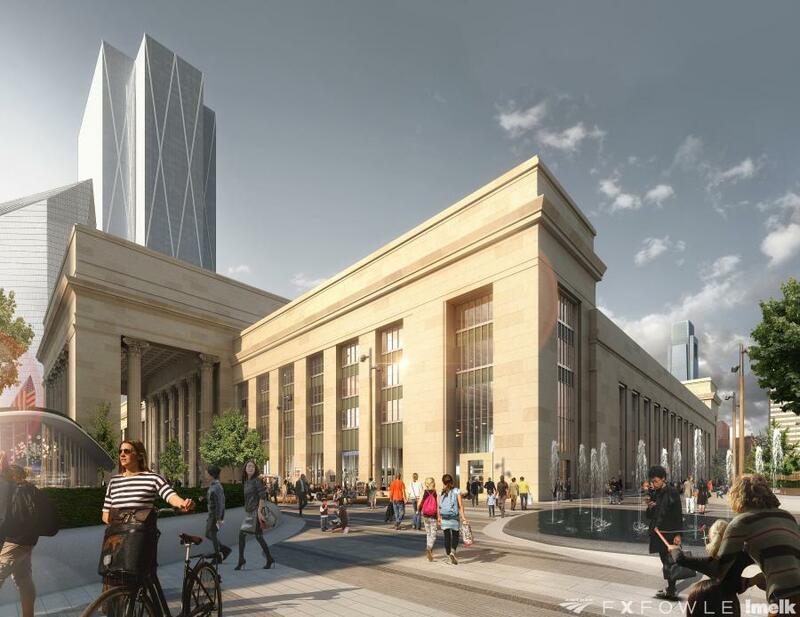 Other upcoming projects in the 30th Street Plan include the Station Plaza, the North Concourse, the West/Underground Concourse Connector and the 30th/31st Street Subway/Trolley Improvements. The 30th Street Catenary Replacement is currently under construction. This project will replace and modernize the SEPTA overhead contact system from 30th Street Station westbound to K and Zoo interlockings, an area that includes SEPTA's Powelton Yard. The work being performed also includes repairs to aging catenary support structures, foundations, retaining walls, tunnels and site drainage. For more information and updates on the Philadelphia 30th Street Plan, visit phillydistrict30.com.